A Slavonian Grebe to the west of town this afternoon. 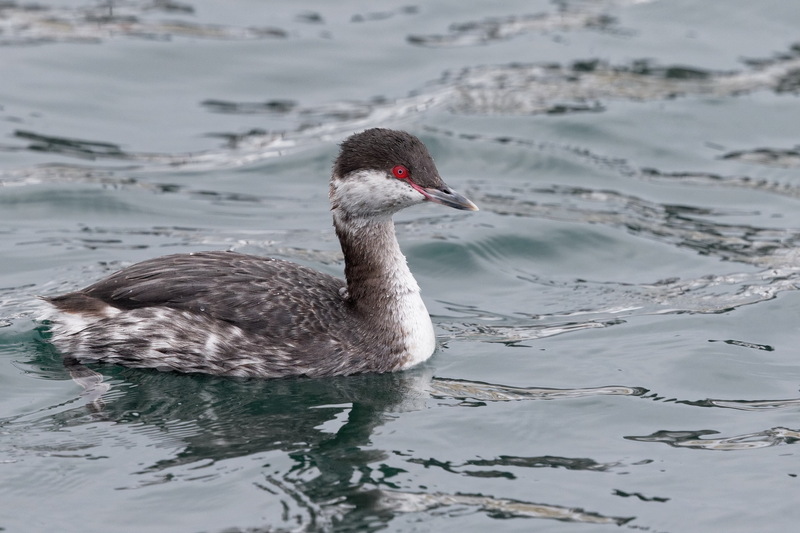 This is a fairly common winter visitor although it occurs in far fewer numbers than the similar Black-necked Grebe. Only common stuff around in the same area: the most noteworthy species were Whooper Swan, White-tailed Eagle, Glaucous-winged Gull, Great Egret and Black Scoter. Last weekend’s cold snap brought a few flocks of Dusky Thrush to town but nothing more interesting. Yet.